There is a television series based out of the UK that was both tremendously frightening and amazingly alluring. Called “Wire in the Blood” it was a psychological drama and I could never get enough of it! Shortly after I watched the first series (we call them seasons), I learned that the show was based on novels by an author named Val McDermid. 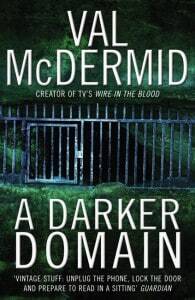 Since that time, I’ve read a few of McDermid’s novels and have always enjoyed them. So, when I was given the chance to read one of her latest novels, A Darker Domain, I was hopeful that it would live up to my high expectations of her work. A Darker Domain starts with two seemingly different storylines. One thread revolves around a young woman who approaches the Cold Case squad in Scotland. Her father had disappeared over 22 years ago, during the Coal Miner’s strike, and she’d always been led to believe that he’d taken off to work as a scab. She recently started looking for him because her son was in need of a lifesaving transplant, and she learned that he hadn’t left with the other miner’s who’d taken off – which meant he was, in fact, missing. At the same time, a very affluent member of the community receives some information involving the kidnap and murder of his daughter and his missing grandson which also took place approximately 22 years ago. He also approaches the Cold Case squad and wants the Detective Inspector (DI) Karen Pirie, to lead the investigation. These two cold cases take many twists and turns (which includes a trip to Italy) and wrap themselves up in ways that can not be imagined at the outset of the novel! I like this novel because it McDermid knows how to weave together bits and pieces. 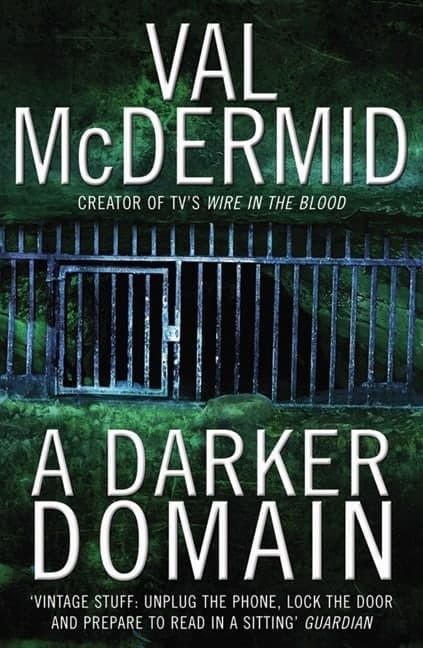 I must admit though, to my disappointment, I had figured out some of the key elements before they took place – something that doesn’t usually happen with McDermid’s novels. Nevertheless, it is an interesting tale. I particularly enjoy the history of the Coal Miner’s strike that is woven into the storyline. And, I must admit, I’m in awe at how McDermid can take events from the past (whole scenes, not simply references to the past) and weave them flawlessly into the novel. I find that authors often fall down when attempting to include flashbacks but this is not the case with McDermid – she is simply amazing at incorporating these elements to add depth to the novel. I would recommend this novel to people who enjoy suspense novels or crime fiction. Make sure you like long novels though – at over 400 pages, it is a serious commitment of time, though well worth the investment!